It always seems easier to choose a present for a little girl – pick a doll of some description and most of them are happy. Boys are a different story. There are so many different toys that we can get for boy toddlers nowadays. What I have tried to do is pick a selection that will help your child have fun while learning through play. I have chosen three different categories: pedal tractors, builder toys and toy farms. I think that this is a varied selection and your little boy would have fun with any of these toys. 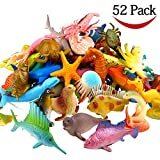 In each subsection I detail why this toy choice is good for your child and then describe a selection of these toys. The perfect toy for your little guy is out there! Ride on pedal powered toys are really good for all toddlers and are particularly great toys for boy toddlers. By pedalling or pushing himself along your child is engaging in a wonderful form of exercise. This active play is great for helping your youngster develop strong and healthy muscles, which is very important for the future. In order for your boy to be able to use a pedal toy they require balance. By driving their little tractor they will be developing and improving their balance. Since your child has to steer the wheel left or right in order to turn their toy tractor, this improves their hand-to-eye coordination. This is a great skill to cultivate from an early age, as it is very important in so many aspects of life. Many of the pedal tractors come with loaders and trailers and operating the levers and buttons will allow your child to build manipulative skills and improve their dexterity. The pedal tractors available today are so lifelike and this realism helps your child to engage in ‘make believe’ play. They can really imagine that they’re sitting on their tractor, trying to draw in bales and working with their animals. This type of play is great for a kid’s imagination. Ride on toys of any kind are great fun and brilliant skill developing toys. I think little boys just love sitting on their toy tractors, trying to be big strong farmers! It’s important that your pedal tractor is sturdy and safe. Many tractors have adjustable seats but make sure your young boy can reach the pedals. Toy tractors need to be well made from strong materials to ensure their durability. Your child’s safety is paramount. It is important that the toy is well balanced so that it (and your child) does not tip over. Also check for any sharp edges as you would not want your child to cut himself. It is important to remember that kids should be supervised when operating such toys. A smooth driveway or grassy area is the place to use this toy as stones and bumps could cause them to off balance and tip over. To keep your toddler’s interest, it is important that his pedal tractor should look like a real one. Most tractors are block colored (such as green, red, blue, yellow) and then have a secondary color finishing off smaller details. The more realistic the toy the easier your child will be able to engage in their imaginative play. Any levers and buttons should not be too small to operate and they should be of durable material so they do not fall or snap off. Where did the tractor come from? Tractors have come a long way since they first replaced the horse and plough as the only way to cultivate a field. Tractors revolutionized farming like no other piece of equipment, invented before or since. The old Ford tractors and the Massey Ferguson Tractors allowed more food to be produced while reducing labor. Tractors helped make the some of the technological revolutions of the twentieth century possible. Steam was used in the first engine-powered tractors and these were introduced in 1868. They were built as small road locomotives and were operated by one man. The most powerful of this type of tractor was the Garrett 4CD. Henry Ford produced his first gasoline-powered tractor in 1907, under the direction of chief engineer Joseph Galamb. It was not referred to as a tractor but as an ‘automobile plow’. After 1910, and ever since, gasoline powered tractors were used extensively in farming. Hop on to this great looking tractor! I really like this Pedal Farm Tractor. 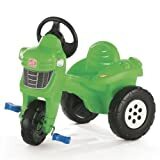 It is a very realistic looking toy tractor, and is in an appealing dark green color. A durable tractor that looks good. It has real steering and is a very usable toy. Little boys will have no problem imagining that they are working on a farm on these great toys for boy toddlers. A notable feature is the yellow gas cap that opens It is this type of realistic detail that encourages imaginative play. This tractor does not come with a trailer but one can be brought separately. A trailer will open up a whole new imaginative world. Your little one will be pedaling for hours on this great looking tractor. All that active play is great for them and will help develop strong muscles. What more could you want from a toy tractor! This tractor can do everything. It’s got a fully functional front loader and a detachable trailer. Its even got a horn, making it even more realistic. I think this is a great looking toy. Your little boy will love to imagine that they are working on a huge farm, moving bales and food for the animals. They have a front loader so they can do the slightly more mucky work as well! With your child’s imagination working hard, their legs will be too. Moving this tractor along is a great form of active play and will help to develop their leg muscles. The beautiful yellow color will make it very appealing to your child. It’s bold and bright so this toy is very inviting for toddlers. This is a brilliant pedal tractor. As it includes a trailer and front loader it is good value at around . There are several reasons why toy building tools are good for your kids. They will really fire your child’s imagination. Your little boy will imagine that he’s the next Bob the Builder and he will be trying to fix everything around your house. Kids love trying to make and mend things and seeing how realistic today’s builder toys are, they will have no problem imagining that they are a real builder. These toys encourage ‘make believe’ and role-play. This type of play is excellent for children as it exercises their imagination and stimulates their minds. Manipulative skills are developed through playing with builder toys. There are many handles to grasp and small nuts, bolts and screws to use. These will help build your child’s dexterity. These toys for boy toddlers can encourage both single and cooperative play. I’ve seen how a little boy can play with these tools and workbenches for hours by themselves. With toy workshops there is enough room for two or more to share the space and tools. Kids can work with friends and siblings – sharing tools while doing a job. It is so important for children to learn to share and to interact socially with other children. Toy workbenches and toolkits need to be sturdy and durable. I know that boys particularly tend to get boisterous when playing workshop and these toys definitely need to withstand some vigorous hammering and sawing. 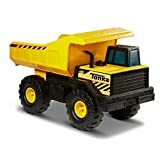 If you select a builder’s toy for your toddler then it is important to sit him down and emphasize the different between real tools and toy ones. Kids need to understand that real adult tools can do a lot of damage – they could hurt themselves or someone else or they could damage property. Never leave real tools in a place where a child can reach them. It can be difficult for a child to know the difference between what is a toy and what is not. Some of these toys come with small parts. Make sure that your child cannot swallow them and, if this is a concern, remove them until you think that your child will not put them into their mouth. Often you will have to assemble the workbenches so it is important to make sure that you do this correctly and follow the makers instructions. These toys for boy toddlers should look realistic and encourage ‘make believe’ play. Realism helps fuel your child’s imagination and makes it easier for them to believe that they are a builder. Size can be an issue. Some of the workbenches are quite big and bulky. It is important to think about where this toy will sit in your house. A child needs to be able to move around this type of toy and they need plenty of room. It is nearly impossible to transport the workbenches once they have been assembled. Toolkits may be a better option for you. They are portable so your child can take them anywhere and they take up very little room. This is such a great little toy. This workbench comes equipped with lots of different tools that encourage realistic role-play. Your child can imagine that they are trying to build or fix something. It is brightly colored and very appealing, helping attract and interest your child. It also makes noises – to make it more real. 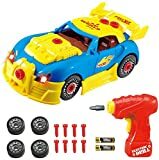 This toy has “lasting” ability – as your child get older and experiences more of the world they will be able to see even more things that they can do with their tools and workbench. It is also suitable for younger kids who will love hammering away and trying to screw things together. A lot of toy for the price. – Favorite aunt from Ireland. Storyteller and playmaster. I really like this portable toolkit. The advantage this type of toy has over a workbench is that your little boy can take it with them and play with it anywhere. The tools are very realistic, encouraging your child to engage in realistic role-play and make believe scenarios. One appealing aspect of this toolkit is that the drill actually moves. It requires two batteries (which aren’t included). Your little boy will love imagining he is fixing something with his noisy toy drill. This toolkit comes in a carrying case, has a tool belt and features 20 different tools, so your child will not get bored of it too quickly. This is the type of toys for boy toddlers that your little guy could use for years. When I was a little girl, my brother used to love playing with his toy farm. We lived on a farm so I thought that this was its appeal. Yet when I went to visit my cousin and her son, who live in a large city, I saw that he loves his little toy farm too. So now I think that it’s just a great toy for little boys anywhere! Toy farms help encourage imaginative play. Kids love pretending that they’re Farmer Joe out tending their animals. Today, toy farms are very realistic looking and this is important as it will enable your child to identify all the parts of the farm and engage in more realistic play. For a toy farm to be a great toy, you need figures of animals, tractors, machinery and people. Handling these figures develops manipulation skills and builds dexterity. A bonus with toy farms is that one child or several can play with them. It is important for children to learn to play by themselves. To be comfortable in your own company is an important skill to possess. Children have to be able to get on with other kids too. Sharing these toys and playing together with a toy farm is a wonderful way to help them learn these skills. Farm toys provide great learning resources too. 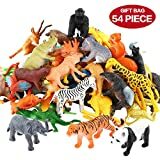 They help boys learn what the different animals look like and, if the toy farm comes equipped with sound, they can get a realistic sound bite of the animals too. The most important thing to keep in mind when buying a toy farm is the age of your child. Some toy farms have very small and intricate pieces which can pose a choking hazard. There are farms for kids of all ages so do check the age group when selecting a toy farm. Today’s toy farms are becoming more and more elaborate. They can now make noises and come with lots of different features. It is not necessary to choose the one that makes noises or has the most features. Listen! Children love to make their own noises to accompany what they are doing. A great thing about toy farms is that you can keep on adding to them. You can buy additional tractors, more figures or animals, bulldozers etc. – the list is endless. I really like this toy by Melissa and Doug – it is slightly different from conventional toy farms. Parts of it are made from wood and your child will be able to build the barn and silo by themselves or with you help. This is great interaction for you to have with your child and will help build and strengthen the bond between you. It also permits your child to develop their manipulative skills. This play set looks great. It comes in lovely colors and the animals are realistic. Your child will be eager to engage with this toy. This farm is good value for money. You get quite a lot of things in the pack including, barnyard animals, trees and farm figures. This is an excellent starter farm which can be expanded with extra figures and machinery around the yard. One of the cheapest ways to keep your little guy entertained is with a round ball. One that is the size of a basketball ball is great (and it shouldn’t be too hard). They can play soccer – kicking the ball to each other and trying to score goals. Even little ones who can just walk love to play with a ball. Learning to catch a ball is great fun. It needs as little as 2 players and many more can join in. Just throw the ball and your little boy can try and catch it. It is great for learning hand and eye coordination and can be played both inside and outside. What a toy!! I love this farm set. It has so many wonderful features that will have your child playing for hours and learning at the same time. This toy looks beautiful and both the farm set and figures look very realistic. Kids will be encouraged to play and explore through ‘make believe’ play. This toy makes noises ! Your child can learn what sounds barnyard animals make, making it easier for your toddler to interact and imagine what actually goes on at the farm. This farm comes with several figures (though I would probably recommend getting some more at a later stage). Your boy toddler can start playing immediately. It requires 3 ‘AA’ batteries. I think these are great toys for toddler boys. An alternative to Toys for Boy Toddlers ? You’ll find some interesting alternatives to Toys for Boy Toddlers in our review of Suggested Toys for Two Year Old Boys or you may select another toy category from the sidebar. In today’s world, there are very few gender specific toys. It is seen as better if boys and girls play with the same types of toys. I feel that a cash register is one of those toys both boys and girls can have great fun with – especially this one. This particular toy cash register is very realistic. This will help your kid engage in ‘make believe’ play and imagine that they are running a store of their own. They could be selling car parts, sports equipment or high fashion. It is able to ‘talk’ to your kids and this helps them engage with the toy and want to play with it. This cash register features a working calculator and microphone, all enhancing the realistic play idea. I feel that kids can have so much fun with a toy like this. It is also a great way for them to learn about money and realize the value of different coins and notes. 4 ‘AA’ batteries are required for this toy (and they come included). It looks great. They have used bright and bold colors which will encourage your child to play with this toy. A great toy which is excellent value for money. Prices are accurate as of April 25, 2019 3:22 pm. Product prices and available are subject to change. Any price and availablility information displayed on Amazon.com at the time of purchase will apply to the purchase of any products.